(High Point, N.C.) May 9, 2017 – The local church is showing up at the OUTCRY Tour in a big, big way. With a great response to the Spring 2017 Tour, which spanned 18 cities and attracted nearly 90,000 people, Premier Productions is announcing its next venture - OUTCRY Tour Summer 2017. What began as a call to celebrate and champion the local church – the Bride of Christ – OUTCRY has attracted nearly ½ million people since its inception in the Spring of 2015. Five of the OUTCRY events in the Spring of 2017 were held at capacity-crowd, sold out large churches and event centers, including Grace Church in Minneapolis, MN; Santander Arena in Reading, PA; First Baptist Orlando in Florida; James L. Knight Center in Miami, FL; and Victory Church in Tulsa, OK. OUTCRY is wrapping up its last few spring dates this weekend. With excitement to see what God will do and in anticipation of a fresh experience, OUTCRY will take a short reprieve and then come back for a one-month blast during August with a new lineup of artists - Jesus Culture, Lauren Daigle, Bethel Music and speaker Chad Veach, along with special guest Martin Smith. The summer tour features artists, worship leaders and speakers who highlight the creativity, heart and mission of the local church – just as the previous tours have done. The tour will stop at the Freeman Coliseum in San Antonio on August 21. 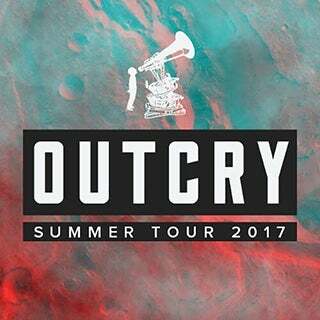 Tickets for OUTCRY Summer Tour 2017 are on sale to the public beginning May 15, 2017. For more information on the OUTCRY Tour and to purchase tickets, please visit: http://www.outcrytour.com.